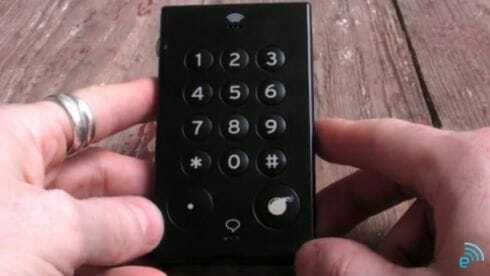 John’s Phone Review: Worlds Simplest Cellphone – Hit or Miss? In a world of techno-mastery, you would have thought that the age-old practice of ‘simple cellphones’ was dead and buried — not so. John’s Phone claims to be “the world’s simplest cellphone’ today, without being as boring and dull as the word ‘simple’ really defines. As you can see, the first thing I did here was to show you what the phone looked like before I even wrote a thing about it. This is to show you (from a design perspective) that the phone really is simple. No touchscreen, bluetooth, GPS, WiFi, camera, or any other modern smartphone feature is included with this device. Heck, it does not even support text messages. So why would we want such a cellphone? At first glance, John’s Phone looks — awful. It kind of reminds me of a remote control, or jacuzzi operator with the numbers symbolising what setting you want it on. But I wonder, what market does this phone aim at? It is said to be the size and weight of a deck of cards, meaning it is relatively easy to hold. Therefore, it could potentially be for the elderly or visually impaired with its larger than normal buttons and easy access of different slider buttons on either side. Unfortunately, it does not come with an ‘aimed at’ sticker, but I’m sure the price will either make or break it. For John’s ‘worlds simplest smartphone’ er, Phone, you are looking at â‚¬70 – â‚¬100, which depends upon the model you choose. A list of which can be found on the John’s Phone website. Conclusion – To be honest, you can see I’m not impressed. But you can get more of an idea how the phone operates via Engadget who have an in-depth review for you to look at. We also have embedded the video below. Tip: they don’t like it either! Simple? Yes. Effective? No. My opinion – Miss. For the record, you can get yourself a 3G featured-phone for that exact same price from numerous manufacturers in the smartphone industry. Check out the Nokia C2-01 and X2-01 for example.